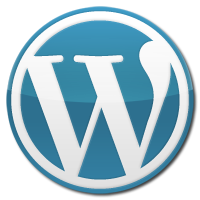 WordPress is a free, open-source publishing system that allows developers and users alike to easily create a complex websites, blogs, or a combination of both. Written in PHP and supported by a MySQL database, WordPress offers intuitive administrative tools and sophisticated design features to develop and integrate professional database driven applications with in your site or blog. Web Design of Palm Beach highly recommends WordPress platform sites for a variety of reasons.. Depending on the scope of your project and the budget available, we can buildout a custom created wordpress theme, or use an existing theme, thus keeping the cost down, but still giving your site the power and punch it needs going forward. Clean coding, fast loading, no code bloat! Extensive list of addons / plugins for every project. Some of the worlds leading Fortune 500 companies are running WordPress for dynamic sites as well as blogs..
Volkswagon’s Think Blue is the philosophy behind VW’s environmentally friendly, high performance cars. eBay Ink is your official source for information, opinion and perspective on eBay, Inc.
UPS’ Upside shares personal insights and perspective about the world’s largest trans­portation company. General Motors FastLane blog is a forum for GM executives to talk about GM’s current and future products and services. Mashable covers entertainment, technology, gadgets, and the web with a focus on social media. The New York Times’ blogs cover everything imaginable, ranging from arts to economics. CNN hosts blogs for their many on-air personalities including Anderson Cooper and Dr. Sanjay Gupta. Reuters’ blogs deliver critical news to decision makers, powered by the world’s most trusted news organization. Katy Perry is an American singer and songwriter. Her site offers videos, lyrics, ringtones, & more.